The eighteen young men comprising the MRHS Blues Hockey Team made school history when they captured the only Provincial Championship in the school’s existence. 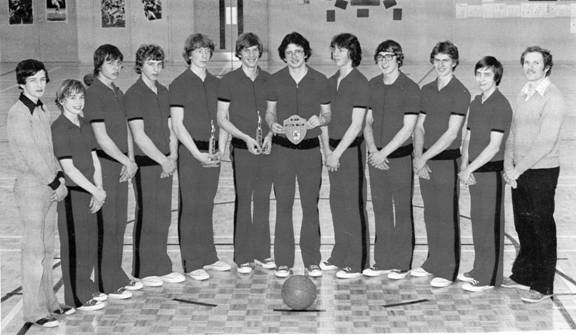 They were capably guided by their seven member staff consisting of Head Coach Peter Harris, Assistant Coaches Burt McNeil, Mike Fritz, and Tim Gillis, Manager Peter Hebb, Assistant Manager Ryan Robertson and Trainer Jamie Peppard. 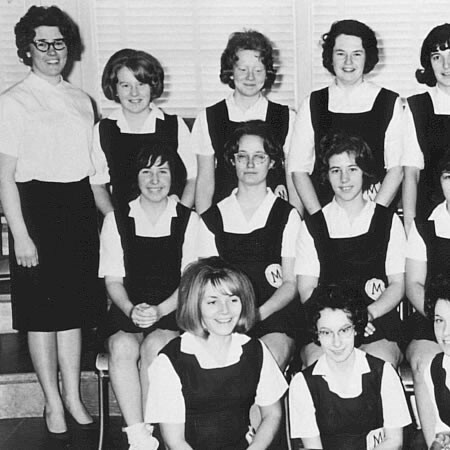 In the first half of the season they struggled to a 12-win-12 loss record in the always tough Annapolis Valley High School Hockey League. Later that Fall the team got an added boost by the addition of half a dozen staunch players with the folding of the Valley Major Midget Wildcats. The team jelled nicely in the second half of the season as they reeled off 26 wins to only two defeats in their march to the title. The goal-tending trio of Scott Woodworth, Bryce McLeod and Caleb Harris were stingy in the net to say the least. The defence corps, rock-solid and excellent at advancing the puck, included: Thomas MacDougall, Shane Peterson, John Spurr, Brad Woodworth and Matt Vidito. The fleet-footed forwards with goal-scoring knack included: Captain and leader David MacFarlane, Eric Balcom, Mitchell Barteaux, Tyson Cameron, Zack Cole, Adam Forsyth, Jason Hebb, Rick Robicheau, Adison Thompkins and Tristan Tardiff-Woolgar. Enroute to Provincials the Blues placed second at Regionals to Central Kings. 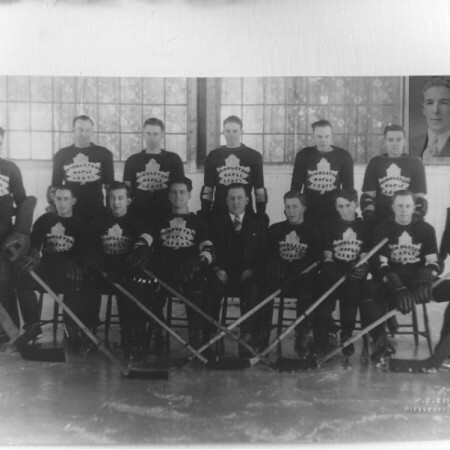 In Port Hood, Cape Breton, the Blues went undefeated beating Forest Heights of Chester, Dalbrae of Cape Breton, Eastern Shore, and their arch-rival CK in the Finals. During the Tournament they outscored opponents 26 to 9 for a most convincing win. 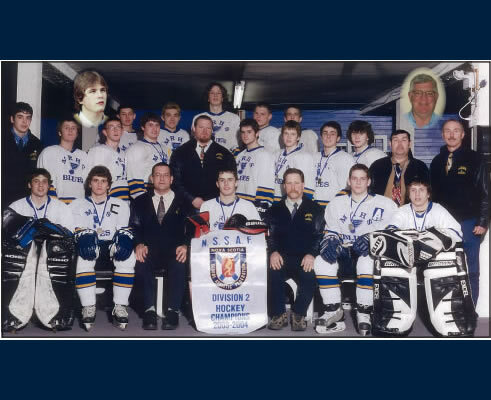 The Sports Heritage Wall of fame is honoured to welcome the 2003-04 Middleton Regional High School Blues the NSSAF Division II Hockey Champions as a most deserving team inductee.